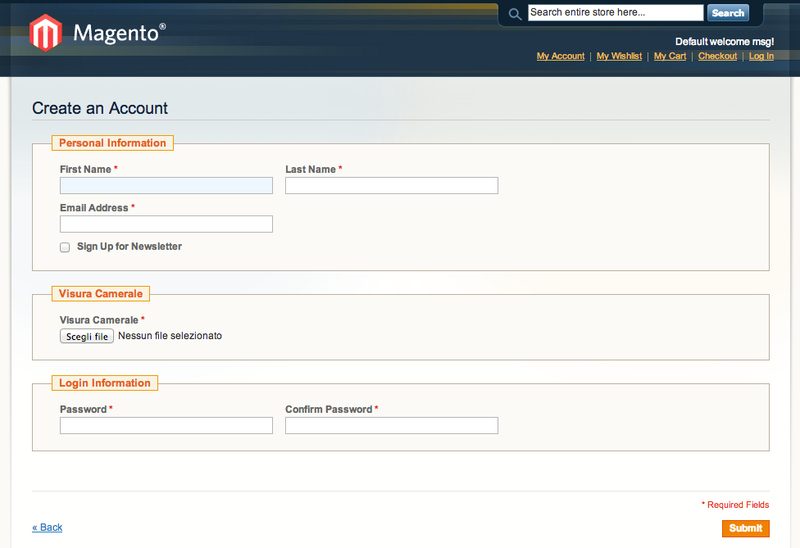 Managing customers certificate with a file upload in the Magento sign up form. The Customer Certificate extension for Magento will require users to upload a file, their customer certificate, in the Magento's sign up form. 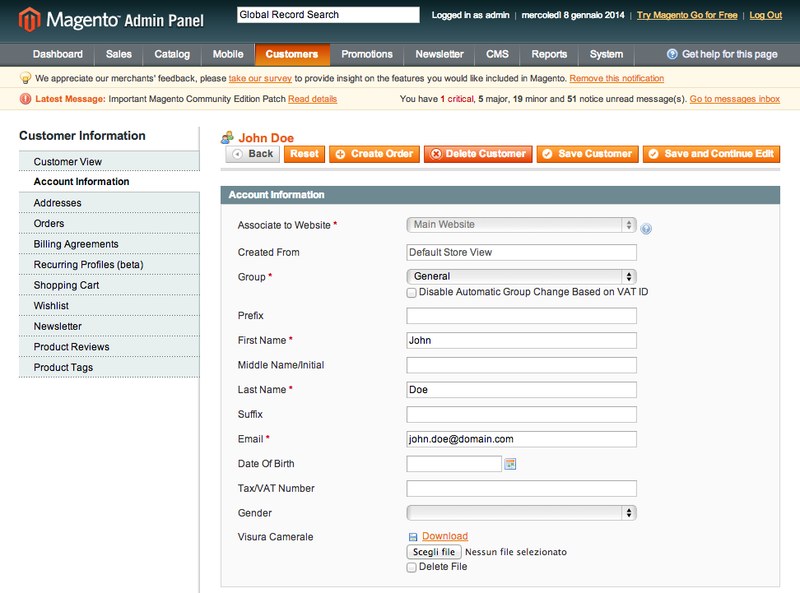 This extension becomes very useful in B2B eCommerce with a customers approving process, where several information about customer's company are needed. 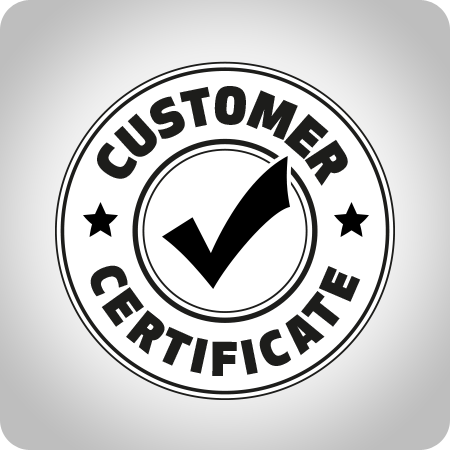 With this extension, this became easier because all required informations may be found in the customer certificate uploaded by the customer himself in the sign up process of the eCommerce. 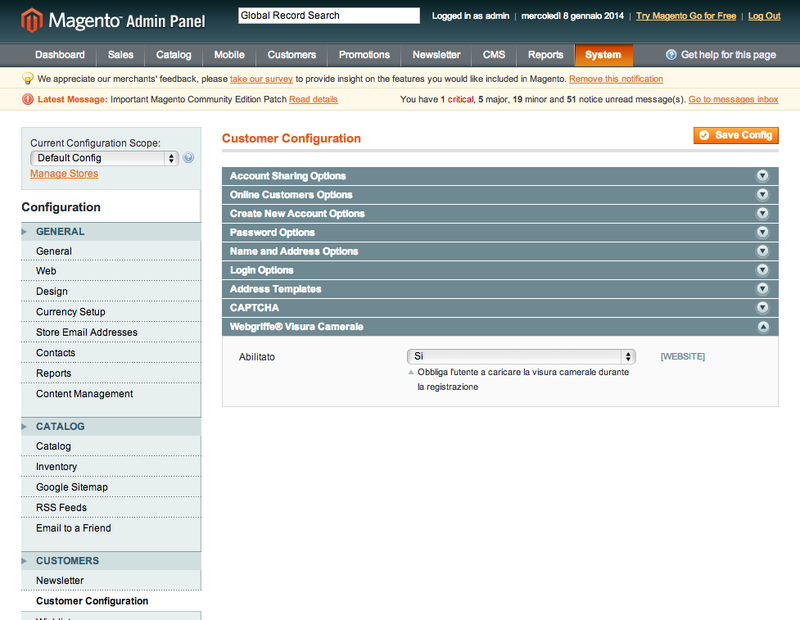 In fact, the admin user may download the customer certificate directly going to the customer information in the Customer Managing section of the Magento's admin panel.